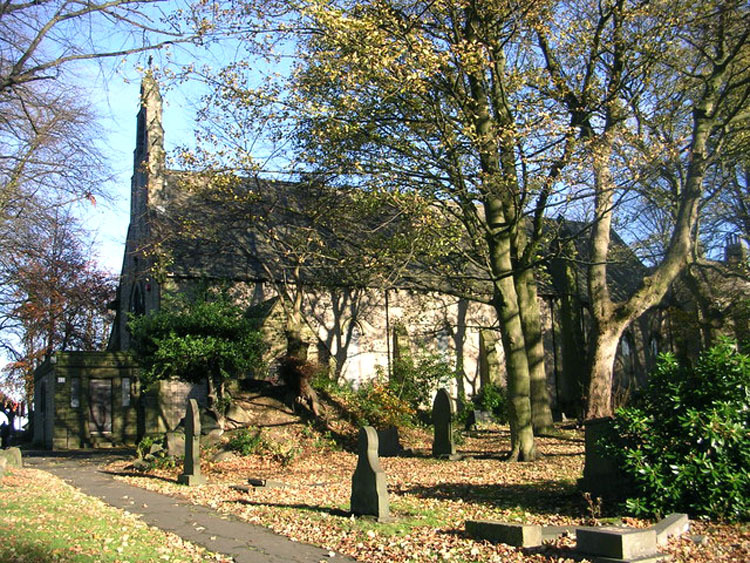 St. John's Church, Newsome, is situated on the corner of Jackroyd Lane and Newsome Road South, with the church's lych gate entrance on Jackroyd Lane. There are 3 First World War burials, and 4 from the Second World War. 2nd Battalion the Yorkshire Regiment. 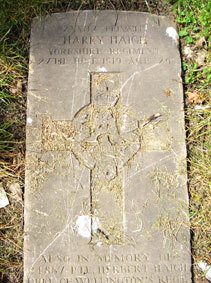 Son of Margaret Haigh, of Rawthorpe Lane, Dalton, Huddersfield, and the late Joe Haigh. 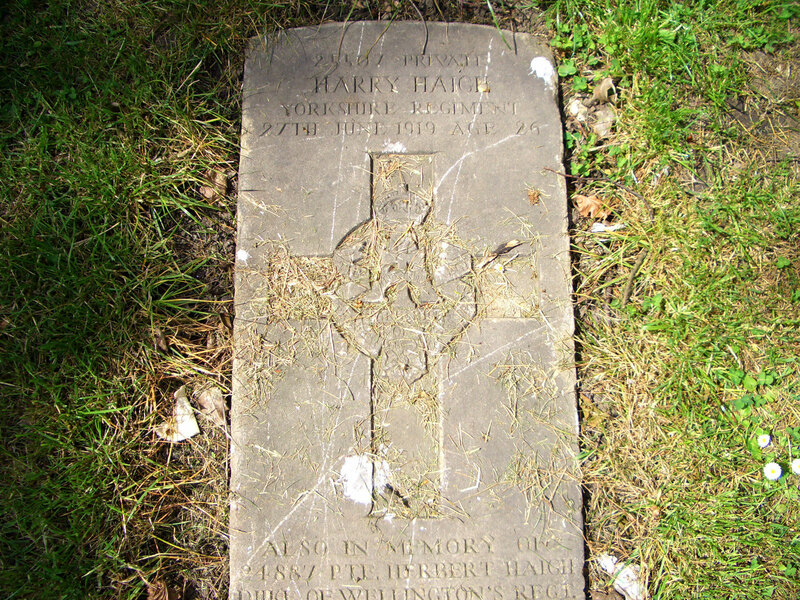 Died at home 27 June 1919. Aged 26.